The adidas Yeezy 350 Boost “Black” is the newest colorway of the adidas Yeezy 350 Boost that is set to release later late August 2015. The second colorway of the adidas Yeezy 350 Boost is dressed in a full Black color scheme. Built with adidas’ Primeknit through the one-piece upper that includes canvas detailing on the heel tab. Other details include a Black leather circle with the “YZY” imprint, all sitting atop a Boost cushioning that provides for a comfortable ride. Check out the additional photos of the adidas Yeezy 350 Boost “Black” below and look for them to release on Saturday, August 22nd, 2015 at select adidas Consortium retailers. The retail price tag is set at $200 USD. UPDATE: The highly anticipated adidas Yeezy 350 Boost “Black” is finally set to release tomorrow, August 22nd at select adidas Consortium retailers, including Wish ATL. Read below for all the locations that will be carrying the release. 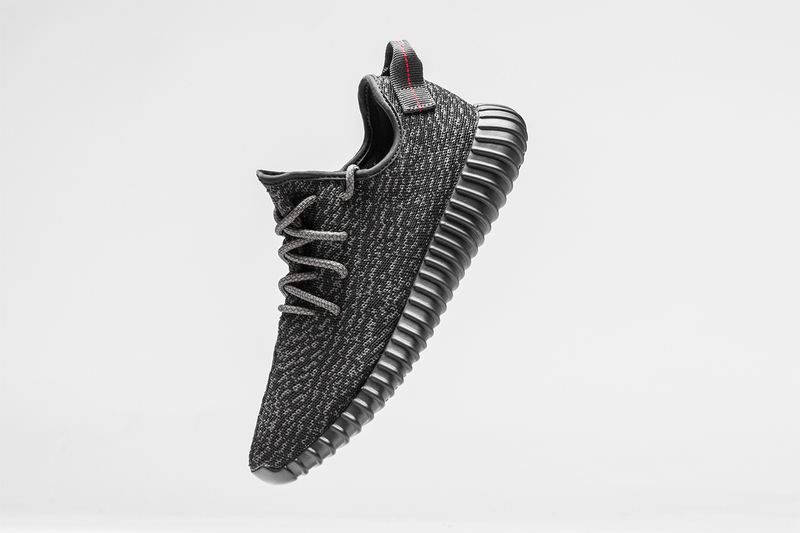 UPDATE: We are now less than a week away from the “Black” adidas Yeezy 350 Boost to officially launch. Today, thanks to @sneakershouts we have a few on-feet photos of those wondering how they’ll look when worn. Check out the additional images below and for more info continuing reading below. UPDATE: We now receive official photos of the adidas Yeezy 350 Boost “Pirate Black” that is getting ready for its launch on August 22nd. They’ll also be available in 1/2 sizes too. UPDATE: Here is a quick on-feet video review of the “Black” adidas Yeezy 350 Boost via TheRealTBlake that will also be available in half-sizes. There is also an image of visible box tags confirming 1/2 size releases via @onlymjscollected. UPDATE: Here is a full list of all the stores worldwide that have confirmed the adidas Yeezy 350 Boost “Black” release. UDPATE: While we are only a few more weeks away from the adidas Yeezy 350 Boost “Black” releasing, we now take another preview look via Kevin Robles at the anticipated release. Stay tuned to Sneaker Bar for further updates, as well as a detailed video review coming soon.